2 Cocoa Beans: From Tree to Factory. 3 Sugar and Bulk Sweeteners. S.J. HAYLOCK and T.M. DODDS. 6 Production and Quality Standards of Cocoa Mass, Cocoa Butter and Cocoa Powder. G. ZIEGLER and R. HOGG. 8 Flavour Development in Cocoa and Chocolate. 14 Moulding, Enrobing and Cooling Chocolate Products. 17 Non-Conventional Machines and Processes. 21 Project Management and Process Control. 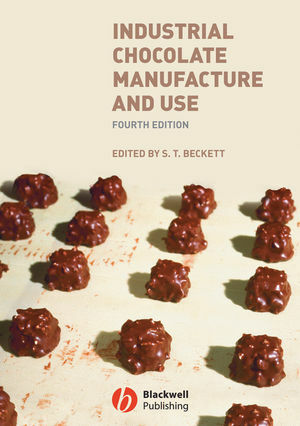 23 Food Safety in Chocolate Manufacture and Processing. 25 Legal Aspects of Chocolate Manufacture. 26 Intellectual Property; Protecting Products and Processes. 27 Nutrition and Health Aspects of Chocolate. 28 Chocolate Marketing and Other Aspects of the Confectionery Industry World-Wide.